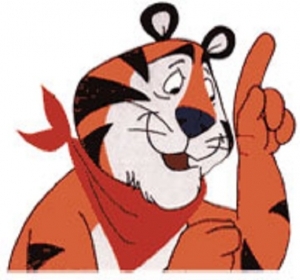 Tony the Tiger, one of my favourites as a kid. A testimonial without the dangers of celebrity slip-ups. The wonderful thing about this endorser is he moves with the times, he’s adaptable. And he’s cheap! Why spend millions on expensive stuck-up headline grabbers when you can have someone like Tony endorsing your product for decades? And kids love him now as much as they loved him 50 years ago. What do you mean 50 years ago? I thought he was invented when I was a kid. Wrong. 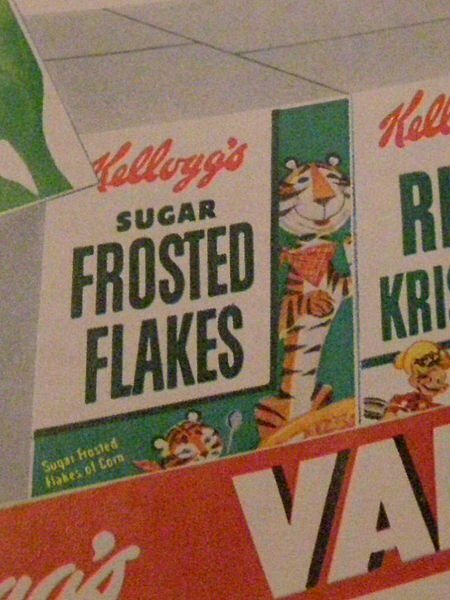 Here is Tony, born originally in 1952, back on an original piece of packaging in 1954. And here is back in the late 50s. My illusions are shattered. But we still love you Tony. You’re a grrrreeeeat character to use as a testimonial! 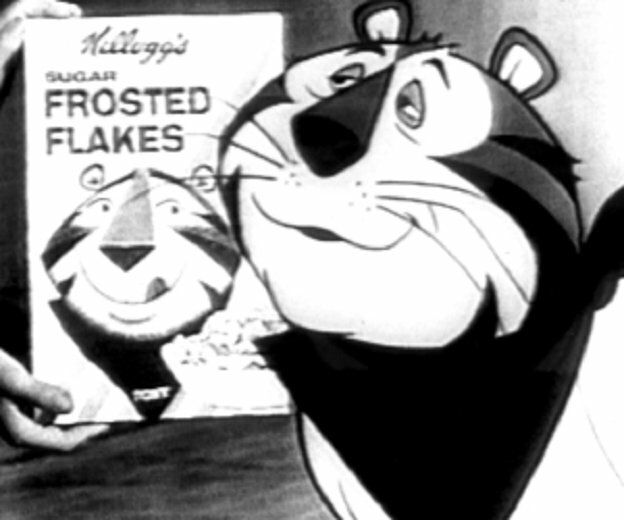 This entry was posted in Desire, Nicely done and tagged Kelloggs. Bookmark the permalink.